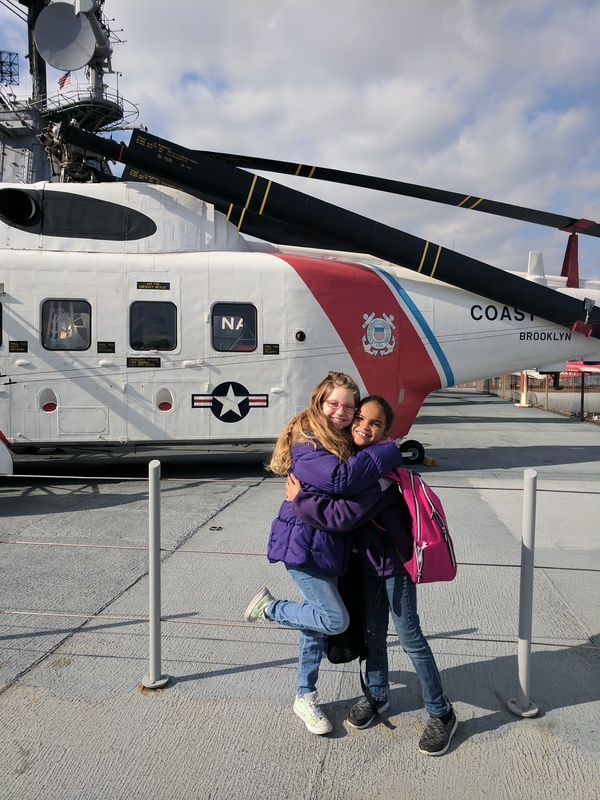 The Third Grade students visited The Intrepid to learn about outer space and the role The Intrepid played in space exploration. The third grade students had a great time and gained so much information about space exploration. Check out some things we came across on the trip! Here we are exploring the museum, including a space shuttle and airplanes. We all got a chance to try out sitting in a space capsule and laying in beds that astronauts sleep in on space crafts. Here we are learning what it is like to be in outer space. We are trying to make chains while wearing space gloves and coming up with inventive ways to excercise in microgravity. Previous Entry:First Grade Word Detectives!